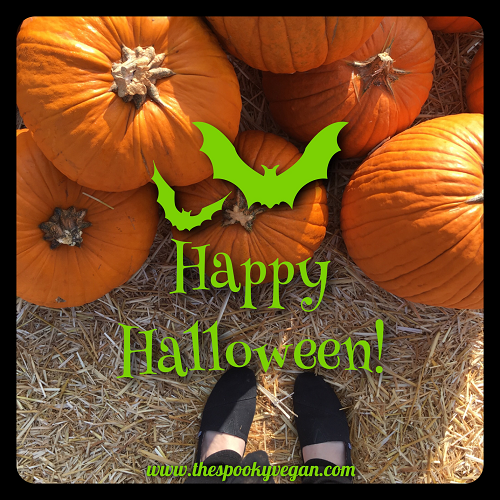 -Eat as many vegan pumpkin-based or autumn-themed foods as possible (like this year's selection of pumpkin foods from Trader Joe's!) - definitely accomplished this! You can see more of the goodies I consumed on my Instagram! -Attend Halloween Horror Nights Hollywood - this was one of the highlights of my Halloween season - you can read my coverage of opening night festivities HERE! -Watch as many horror movies or spooky-themed movies as possible via Netflix, on DVD, etc. (goal: at least a horror movie a day!) - I didn't quite watch a horror movie a day, but I was able to watch a lot of of spooky kid-friendly horror (namely episodes of R.L. Stine's Haunting Hour and Are You Afraid of the Dark?) along with my usual viewings of horror movies. 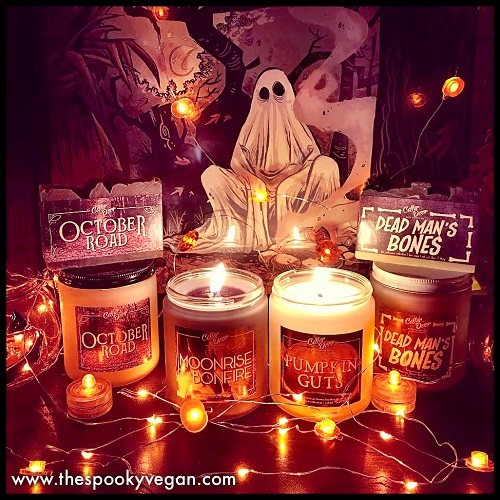 -Make my home smell like pumpkin spice 24/7 with essential oils - done, but I couldn't find a good pumpkin spice essential oil so I used Cellar Door Bath Supply Co. candles! 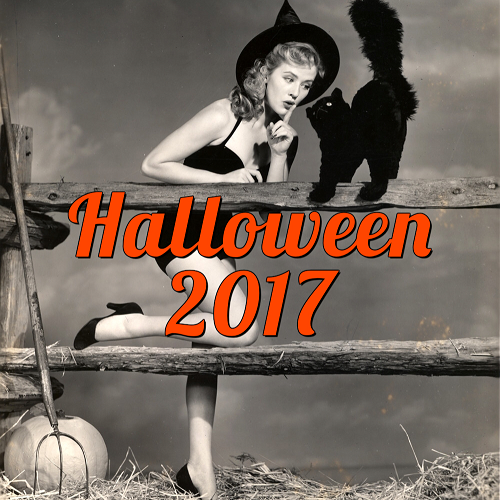 -Watch my favorite Halloween-themed movies, TV shows, specials, etc. (see my ultimate list of Halloween-themed movies!) - I watched about 80% of my list of 31 Days of Halloween Movies, so I consider this a success! -Send Halloween cards to friends and family - I did this, and I also did a fun Halloween card swap with some fiends on Instagram! 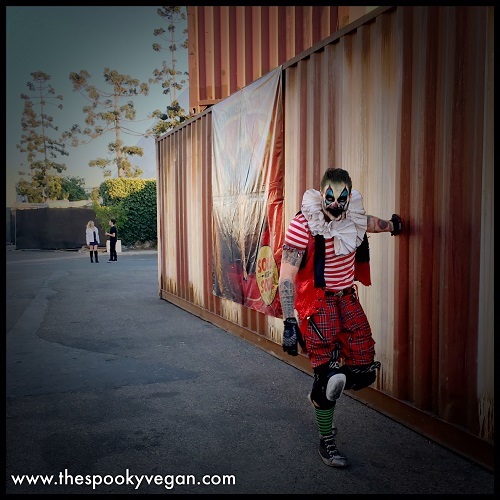 -Attend Queen Mary's Dark Harbor - this was the first year I checked out Dark Harbor and I had a blast! You can read more about my night onboard HERE! 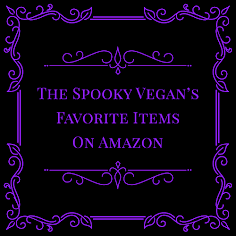 -Score some cute new Halloween clothes or accessories - I scored some really cute necklaces from Grave Harvest Halloween convention and some spooky Halloween and Nightmare Before Christmas leggings from Lula Roe! -Visit a place that actually FEELS like autumn, where I can crunch in the fallen leaves and feel a cool autumn breeze - I didn't get to do this, and weather here has been mostly between 80 and 100 for October (not okay). Next year I need to go somewhere else that has a proper fall! 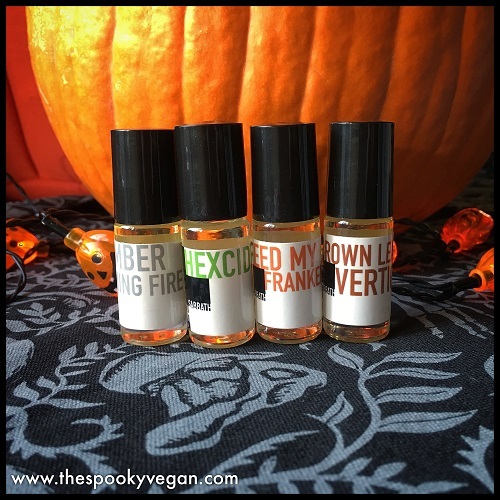 -Treat myself to a new Halloween scent (check out last year's post on how to smell like Halloween) - I got some Bath Sabbath's perfumes that made me smell like caramel apples and bonfires, they were perfection! -Bake muffins, bread, scones, cookies, etc. 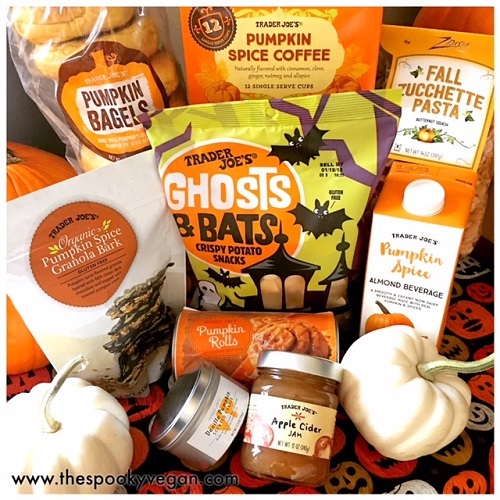 in autumn flavors (pumpkin everything!) - didn't do this as much as I would have liked, but did manage to make some of my Pumpkin Chocolate Chip Cookies! 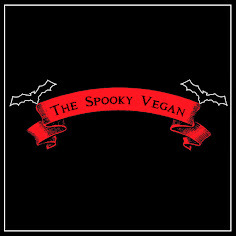 -Hand out vegan candy to trick or treaters - doing this tonight! -Decorate the house even MORE than usual - YES! This I excelled at, and I hope to share a spooky home tour with you soon. 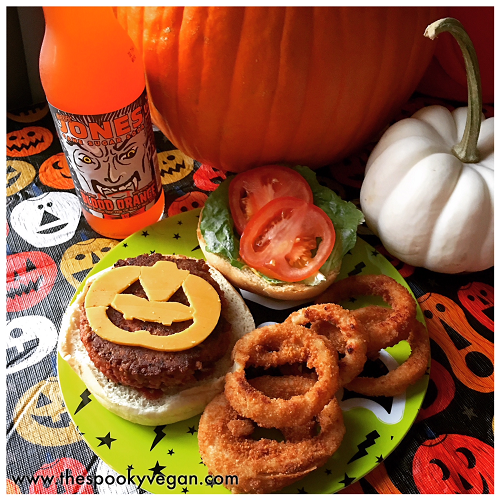 -Make creepy and/or creepy cute Halloween foods - I made some fun jack-o-lantern burgers! -Wear scarves, boots, sweaters (quite the challenge in SoCal) - I didn't get to do this AT ALL since the weather was always above 80 this month - did I mention I despise the weather here? 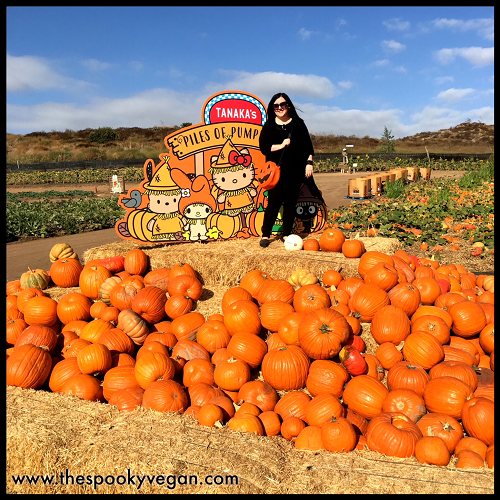 -Visit the Tanaka Farms Pumpkin Patch - always a tradition, and they had Hello Kitty decor this year - check it out HERE! -Read The Halloween Tree and other Halloween-themed stories/books - I didn't get to re-read my faves, but I did get to read Drawn To The Dark about haunts and spooky festivals all over the world, and it was a perfect Halloween read! -Roast pumpkin seeds - yup! 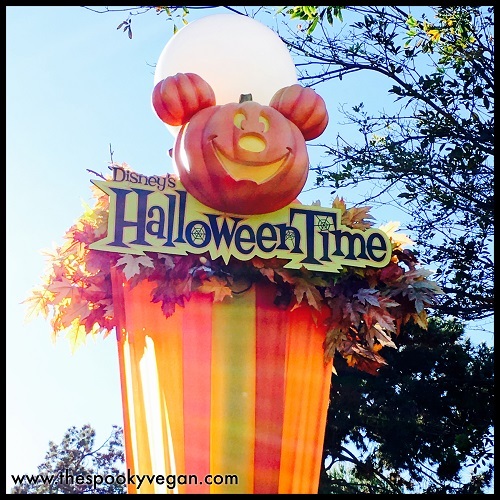 -Go to Disneyland and California Adventure for their Halloweentime festivities - I got to surprise my little sister for her birthday and go to both parks! It was fun, but a bit rough since it was over 100 degrees that day, ick! -Complete the 31 Days of Halloween - Despite everything this month, I was still able to share some fun posts with you all, and I'm really happy I did so much, even though I did not have any posts pre-planned (usually I'll have half of my Halloween posts written by July!). This year's 31 Days of Halloween was a success! Did you do everything you wanted this Halloween season? What are your plans Halloween night? Let me know in the comments below! 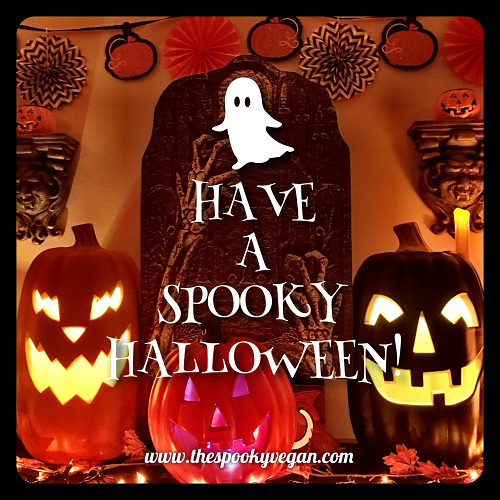 Wishing you a very spooky Halloween! P.S. 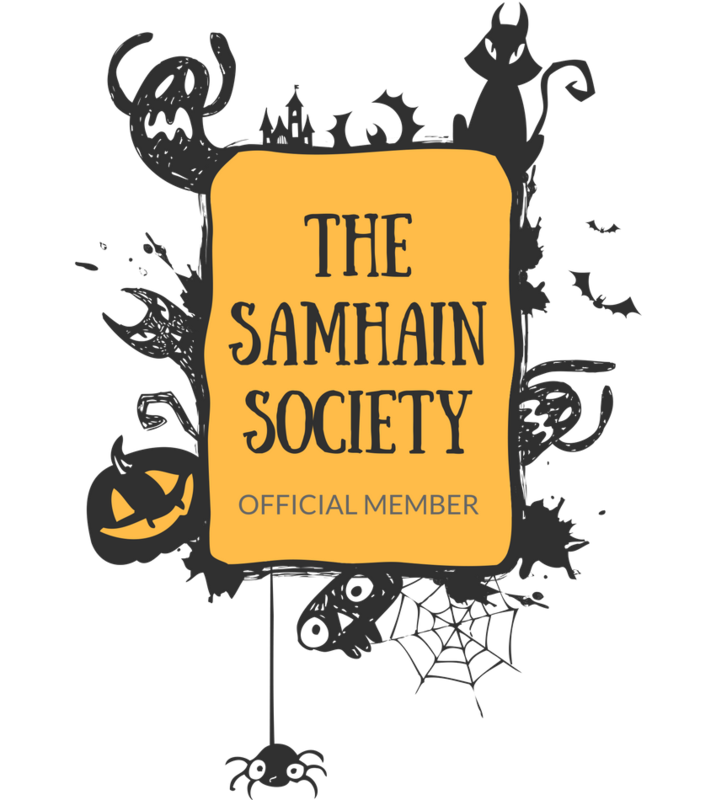 If you want to continue getting a Halloween fix, stick with me since I post spooky stuff year-round! I will be posting a few things for Hallowvember and then Creepmas in December! Thank you! Happiest of Halloweens to you as well! Thanks, lovely! 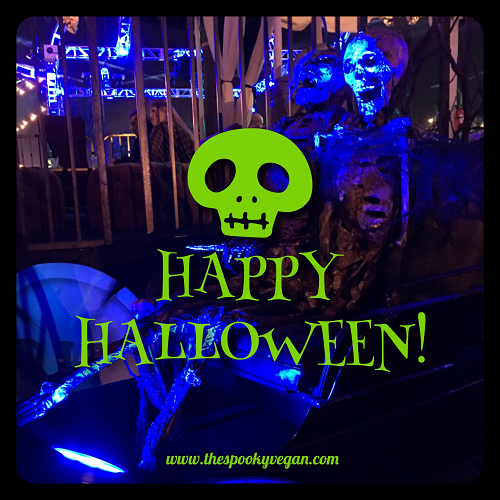 Wishing you a wonderful All Hallow's Eve! That’s a huge list and you did well! I got some spooky movies watched and attended a haunted funfair. Happy Halloween to you as well! Hope it was great! Sounds like you had a good Halloween! I enjoyed reading all your posts this year. I love to go after-Halloween shopping every year on November 1st! Nice. :) I didn't get to do everything,no. I didn't have a good Halloween day or night.